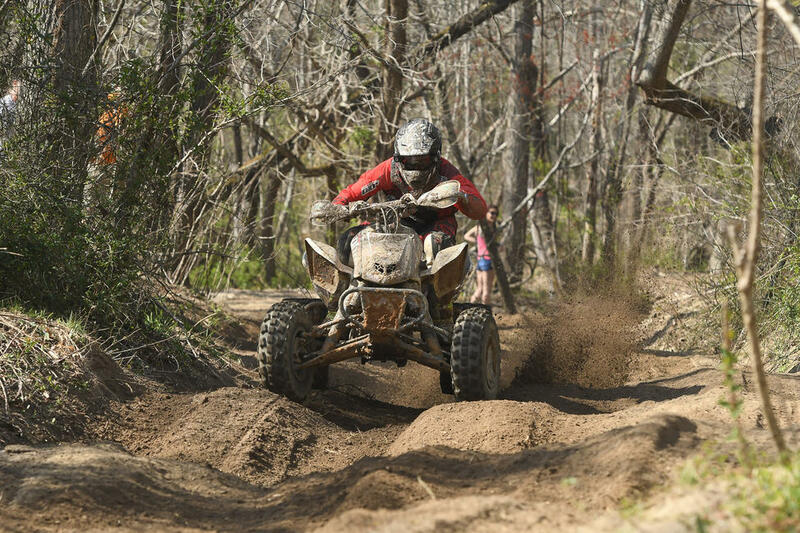 MORGANTOWN, W.Va. (April 11, 2019) – The 2019 AMSOIL Grand National Cross Country (GNCC) Series presented by Specialized, an AMA National Championship, heads to South Carolina for the 4th Annual CST Tires Camp Coker Bullet GNCC at Moree’s Sportsman’s Preserve this Saturday, April 13. WFR/GBC/Fly Racing/Yamaha’s Walker Fowler has been victorious at the first three rounds of the season, and is aiming to continue that success. Fowler also has another reason to be hopeful for the overall win this weekend, this win would be his 49th one ultimately tying him with Barry Hawk, Jr. on the ATV Overall Wins list. After a rough start to the season in Florida, LanMills XC/CST Tires/Houser Racing’s Brycen Neal has been steadily improving and after his second overall at the previous round he is looking to continue pushing forward. On Saturday, Neal will once again be looking to battle at the front and even contest for the overall win. Maxxis/Elka/Moose Racing’s Jarrod McClure was another rider who did not have the finish he had hoped for in Florida or Georgia. However, McClure rebounded at the last round in North Carolina finishing third overall. As the series heads south one last time, McClure is hoping to keep improving and go for his first win of the season. Currently sitting second in the points standings is OBOR/Moose Racing/Parts Unlimited/McGill Mafia’s Adam McGill. With a pair of fourth overall finishes, and a second at round two, McGill is 29 points behind Fowler. McGill knows what it takes to win at this venue, as he took the overall win at its inaugural race in 2016, and he is hoping to do just that this Saturday afternoon. Maxxis/Fly Racing/Ye Olde Cycle Barn’s Chris Borich has had a good start to his 2019 season. Borich is sitting third in the points championship after rounding out the overall podium at the first two races along with a fifth overall at the previous round. 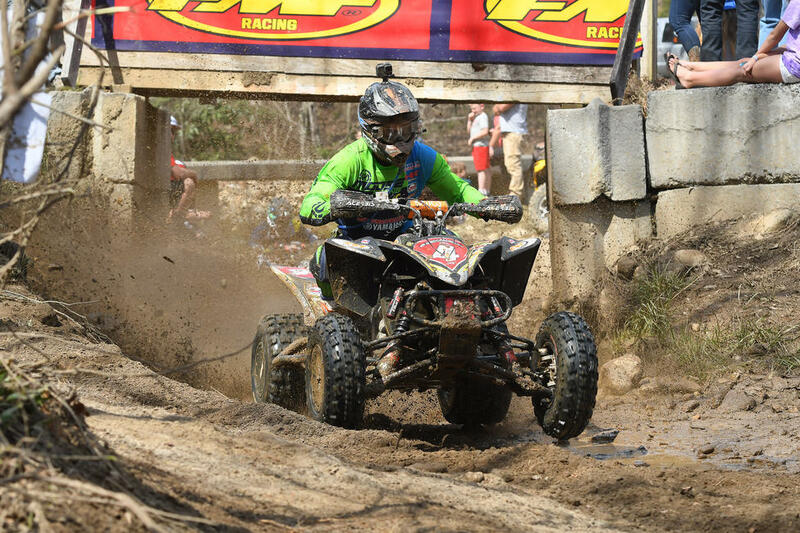 Borich is still looking to earn his 75th overall ATV win, which he is hoping to grab this weekend. 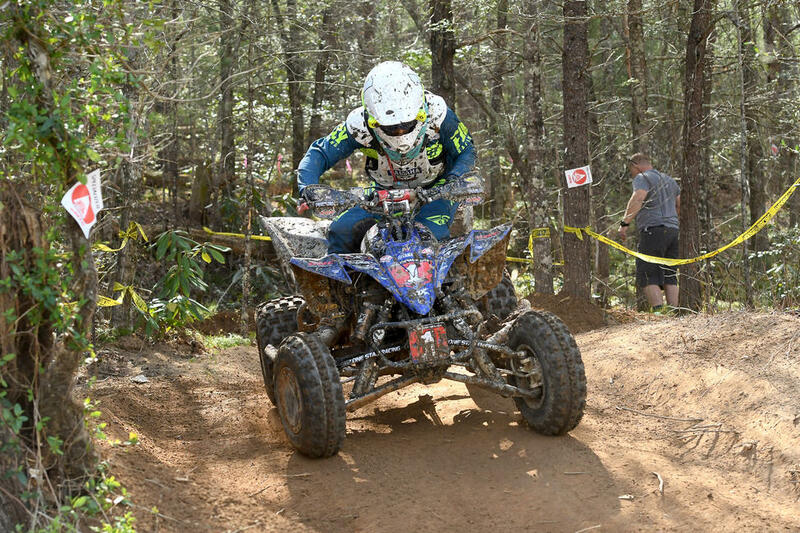 ATV XC1 Pro rookie, Maxxis/Ithaca Recreation Sports/Fly Racing’s Hunter Hart and GBC/Fly Racing/HMF/Yamaha’s Johnn Gallagher came through sixth and seventh two weeks ago. Coming into this weekend both Hart and Gallagher will look to break into that top five overall. XC2 Pro-Am points leader, Pierce Performance/Maxxis/Waynesburg Yamaha’s John Glauda Jr. earned his third-straight class win while also finishing out the previous race in eighth overall. Glauda Jr. is hoping to keep the momentum rolling into this weekend, and earn his fourth consecutive win of the season. BNR Motorsports/GBC Motorsports/HMF Racing’s Josh Merritt finished just inside the top 10 two weeks ago with a ninth overall. Heading to South Carolina Merritt has his sights set on improving his overall finishing position. LanMills XC/CST Tires/Moose Racing’s Drew Landers comes into the fourth round currently sitting second in the XC2 Pro-Am class, just 15 points behind Glauda Jr. With the series heading to the South one last time, Landers is eager to battle for his first class win of the season. One rider missing from the previous top 10 results was Yamaha/AmPro/Action Offroad/GBC’s Cole Richardson. 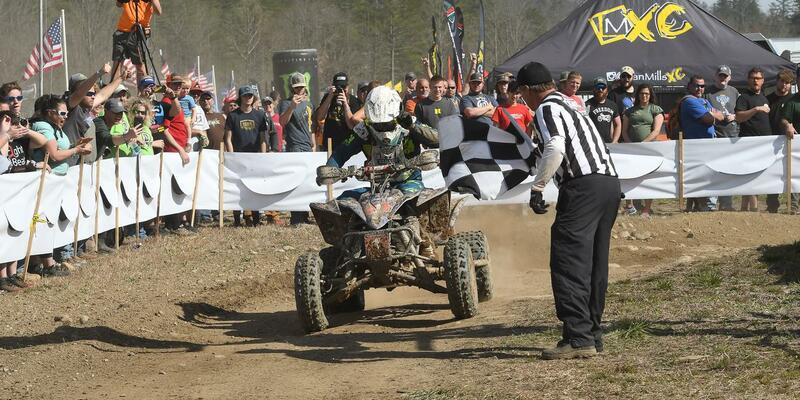 At the Steele Creek GNCC, Richardson would suffer a crash ultimately breaking his ATVs A arm, forcing him to be towed in and ending his race for the day. Richardson remains sixth in the points standings, but will be hoping for better results this coming weekend. Local racers expected to compete this Saturday on ATVs will be: Doug Moore (4x4 B), Chuck Norris (Sportsman A/B), Zachary Jones (4x4 A), Dylan Turner (YXC2 Super Mini Jr. 12-13), Byron Russell (4x4 B), Josh Chandler (Trail Rider), Connor Walker (YXC2 Super Mini Jr. 12-13), Coleman Cook (16-18 C), Richie Solesbee (Trail Rider), Haile Fowler (Girls 8-15), Curtis Brazzill (16-18 C), Harrison Lindsey (125 Sr. 12-15), Tommy Cook (Trail Rider), Justin Turner (Sport 15+), Mackenzie Luckadoo (Girls 8-15), and Cameron Faile (Sportsman A/B). 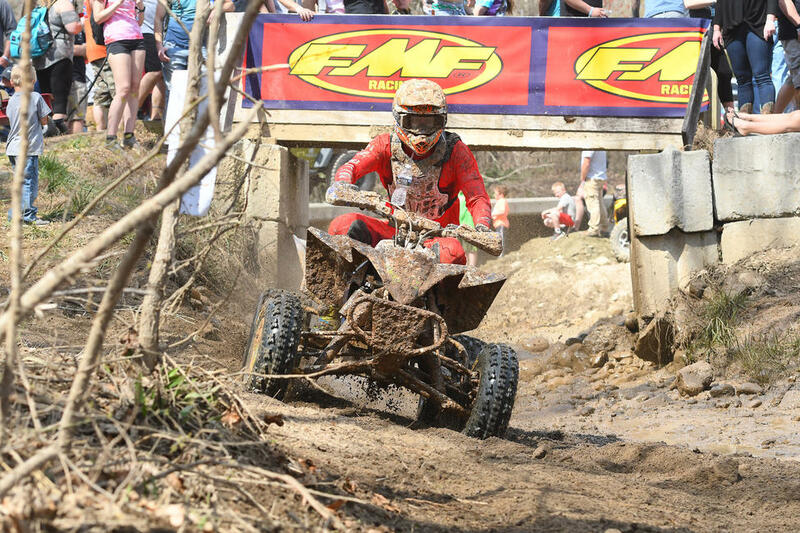 Four-wheeled ATVs and 50cc Micro riders will compete throughout the day on Saturday, April 13. Youth ATV racing begins at 8 a.m., with Micro 50cc ATV racing at 9:15 a.m. and Micro 50cc bike racing at 10 a.m., followed by amateurs, 4x4 Pro and Women at 11 a.m., and the pros and top amateurs race at 2 p.m.
Don't miss the live concert presented by Monster Energy Saturday night with AJ Sanders. 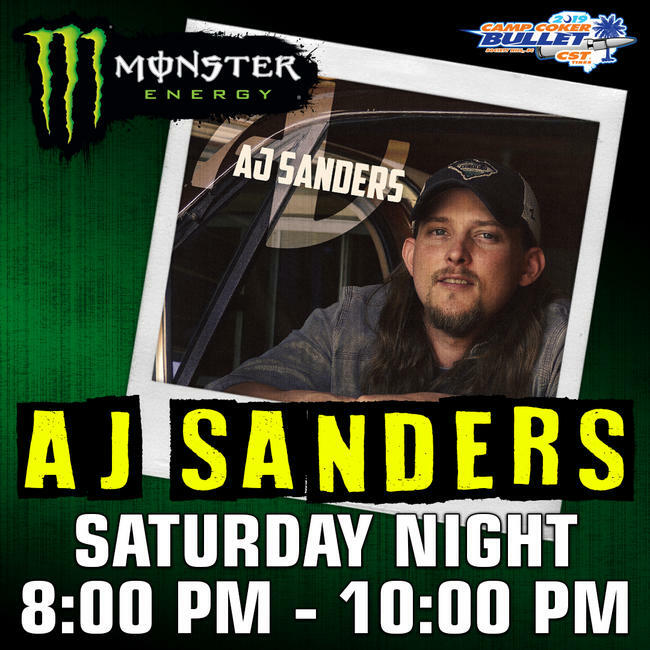 The event will also treat fans to a live concert, as Monster Energy proudly presents AJ Sanders at the Camp Coker GNCC on Saturday, April 13th at 8:00 p.m. Admission to the concert is included with your gate admission purchase. Gate Admission for Adults (12 and over) is only $20, Kids (6-11) is $10 and 5 & under get in free! Come watch the fastest off-road racers in the world battle at Moree’s Sportsman’s Preserve and listen to some old school southern charm country music from AJ Sanders. Not only will there be a live concert, but plenty of other activities for children and adults. On Saturday and Sunday from 11am – 11:30am the Pro ATV (Saturday) and Pro Bike (Sunday) athletes will host an autograph signing session on Pro Row. Fans will be able to meet their favorite pro rider, and get their picture taken with them. Then Saturday evening from 6pm – 7pm, the annual Camp Coker Fishing Tournament will take place, along with Team Faith Youth activities including an Easter Egg Hunt at 6pm. For the latest event information, click HERE. The event is co-sanctioned with SETRA, a series that produced local racing events in the southeast, and will ultimately bring out a full slate of local racers. 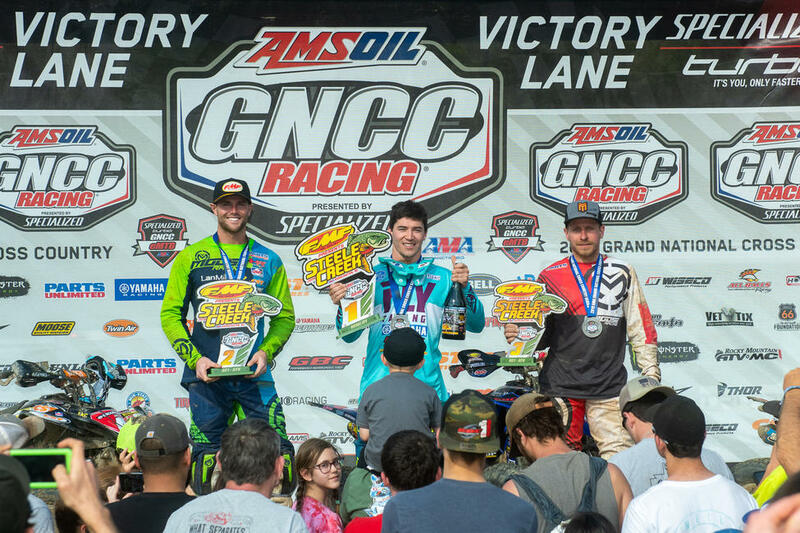 All local riders are invited and encouraged to compete in the event, as GNCC Racing offers classes for riders of all skill and experience levels. The amateur race entry fee is only $50 and riders can sign up at the event. To learn more about GNCC Racing, refer to the GNCC 101 webpage. Spectator passes run $20 for adults and $10 for children (6-11), and kids 5 and under are free for the full weekend (Saturday through Sunday), with pro pit access and pro autographs at no additional charge. The 2 p.m. and 1 p.m. pro races will be broadcast LIVE on the Internet via Racer TV on www.racertv.com both days. A highlight show featuring the event will air on NBC Sports Network on Saturday, June 23 at 2:00 p.m. The AMSOIL Grand National Cross Country Series presented by Specialized is America's premier off-road racing series. Founded in 1975, the 13-round championship is produced exclusively by Racer Productions. Cross-country racing is one of the most physically demanding sports in the world. The grueling three-hour GNCC races lead as many as 2,400 riders through tracks ranging in length from eight to 12 miles. With varied terrain, including hills, woods, mud, dirt, rocks, and motocross sections, GNCC events are tests of both survival and speed. The series draws talent from all over the U.S., Central America, South America, Europe, Japan, Australia, and New Zealand. GNCC Racing is televised weekly on NBC Sports and RacerTV.com. For more information, please visit www.gnccracing.com.